Fun fact: Leo Goodman was the first actor we saw in the room for our Merchant of Venice auditions. What was it about him that appealed to us and kept him in our minds all the way through the audition process? Was it his ease of emotional range and depth as an actor? Was it his understanding of the text both intellectually and emphatically? Was it his natural warmth and openness as a person? 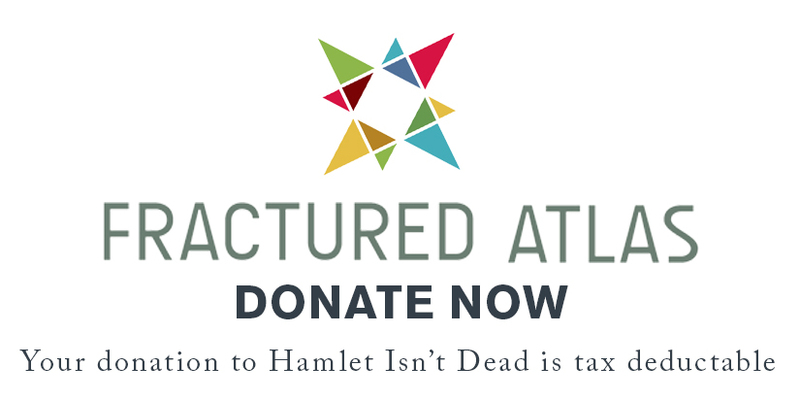 You'll have to come and decide for yourself at Hamlet Isn't Dead's Merchant of Venice, opening December 14th! Trick question: it was that 'light-up-the-room' smile. LG: Mine’s green, like trees and grass. His is turquoise, like the ring his wife gave him before they were married. HID: Shylock’s a centuries-old character who’s been played by countless huge stars. In the play version of your life, who do you picture playing Leo Goodman? LG: Hopefully anybody with a full head of hair, but probably Paul Giamatti. HID: If you and Shylock are going out for a business lunch, where are you going and why? How does the meeting play out? LG: A Kosher deli, because if you’re gonna get pastrami Kosher is just better. It all falls off the rails when I accidentally let slip that I love bacon. HID: Any parting thoughts about your experience playing Shylock? Any ways he’s different than you initially imagined? LG: I’d never actually read or seen the play before. All I knew was the few lines that everybody knows (If you prick us, do we not bleed). The big surprise was that aside from that one part the character is, at first glance, written almost entirely as both a stereotype and a villain. The challenge is playing away from that, making him more than just bloodthirsty. Which isn’t to say bloodthirsty isn’t fun. Speaking of thirst, come slate yours (for theatre, not for blood) with Leo (and the rest of the HIDiots) at Merchant of Venice. Opening soon, and opening impressively!